The FBI is the world's most famous law enforcement agency and also one of the world's most mysterious organizations. 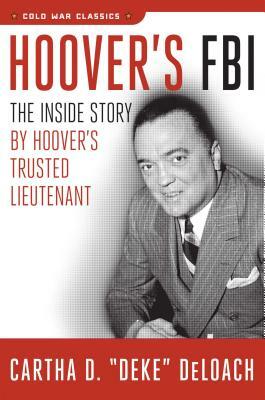 Only the few who were part of J. Edgar Hoover's inner circle know the truths of five decades of his authoritarian rule. In this gripping personal account, Deke DeLoach, who was privy to Hoover's thoughts and actions during the FBI's most tumultuous years, tells his insider story. Cartha DeLoach served as an FBI agent for more than twenty-eight years, rising from field agent to deputy director. After retiring from the service in 1970, he served as president of PepsiCo for fifteen years. Following the death of director Hoover, Deloach was twice offered the directorship of the Bureau but chose to stay in corporate life. Before his death in March 2013, he lived on Hilton Head Island in South Carolina, where he served as principal of a holding company.